What do you get when you have a professional artist / designer pour a year into building something? Nothing short of "I can't believe that's the Source Engine." 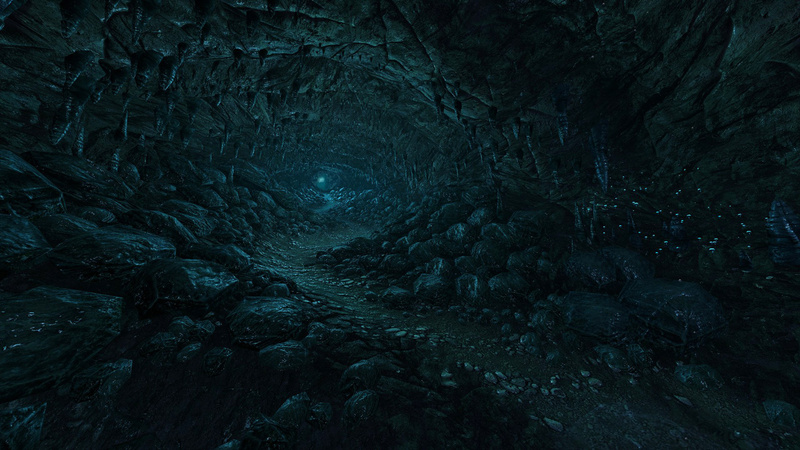 The art and actual level design of Dear Esther was always its weakest attribute. But now... yowza. I can't even figure out how he achieved some of these effects -- the water caustics on the cave walls are probably an animated detail texture, and there's a crap-load of particles going on with the waterfalls -- but how did he get the water running down the rocks like that? It's definitely not a particle system. Is it some kind of refracting overlay, or did he model a prop_static and slap on a refraction shader onto that? It's really pretty. The craftsmanship is superb. Don't get me wrong. But it's the same game, more or less, with roughly the same narrative, more or less. I can't help but wish he instead worked with Pinchbeck on something new.